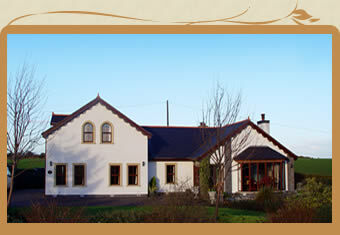 Welcome to Pinecroft, a charming country house with a relaxed and friendly atmosphere. Pinecroft is situated in a peaceful rural location, surrounded by a beautiful garden, overlooking Northern Ireland's only working windmill. Pinecroft is within close proximity to the market town of Newtownards, seaside resort of Bangor and costal town of Donaghadee. Belfast City Airport is just a 40 minute drive away. Pinecroft provides a perfect base for exploring the Ards Peninsula and North Down. Our attractively-designed bedrooms, guest lounge, and superb breakfasts make Pinecroft the perfect retreat. If you have any questions about Pinecroft or any special requirements, please do not hesitate to call us.